7” vinyl single (45 rpm) with picture sleeve. Numbered edition, strictly limited to 500 copies, worldwide. Painting © Reinhard Kleist • Direct Metal Mastering, manufactured by Pallas. Cult favorites from a cult favorite! An old, prefabricated house in an out-of-the-way section of East London was not the place one would have normally expected to find a fifties-era Starday Recording Artist holed up. But there he was, Eddie Noack, a refugee from the Texas honky-tonk scene's remote past, about to launch a short tour of England. It was 1976. London promoters had called on him, and though he hadn't performed in public in many years, and was in poor health, he consented. His career was over, and he knew only too well that a tour of English pubs was not going to revive it, but perhaps it could at least preserve the illusion a little while longer. Noack had never been famous, but the hard-core country fans in England had heard of him and wanted to see him. He had recently made an album of his original songs for an English label, songs better known through interpretations by stars like George Jones, Hank Snow, and Johnny Cash. Few had ever heard Noack's long-forgotten singles on Starday, or any of the other small labels he had recorded for over the course of a thirty-year career in country music. Music journalist Bill Millar, along with Ray Topping, arranged to interview Noack at the start of the tour. By then, the word 'rockabilly' had emerged with an impact it never had in the fifties. It was the magical incantation that unlocked and revitalized so much good but forgotten music for a new generation. For the purveyors of the rockabilly revival underway in England, Noack's presence on their shores presented a dilemma: Starday was recognized for its rockabilly singles, but Noack had avoided making any. And so they ignored him. When Millar and Topping drove up at 4 o'clock in the afternoon, the curtains to the house were drawn. "Long before he answered the door…I was wondering what sort of problems had brought this talented artist to such a lamentable state," Millar later wrote in 'Melody Maker.' A disheveled man, appearing to be years older than 46, came to the door still wearing his pajamas. The room was littered with overflowing ashtrays, pills, and bottles among scrapbooks and records. Eddie told the young writers that he was suffering from an intestinal disorder, but despite everything managed to answer questions about his long music career with, Millar observed,"a quiet pride." Many lifelong country singers who had made a rockabilly single or two during its brief commercial reign were only too happy to later accept this rebranding if it translated to a critical acclaim or recognition they had otherwise never experienced. 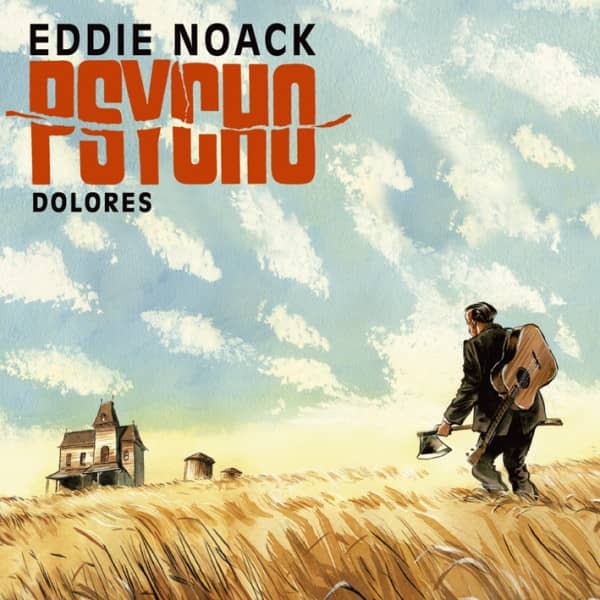 Not Eddie Noack. During their interview, when Millar and Topping inevitably broached the subject of rockabilly, Eddie forcefully resisted the temptation. "No, I'm pure country," he insisted. To suggest otherwise would be to badly misunderstand his life and work, and how he wished that work to be interpreted. 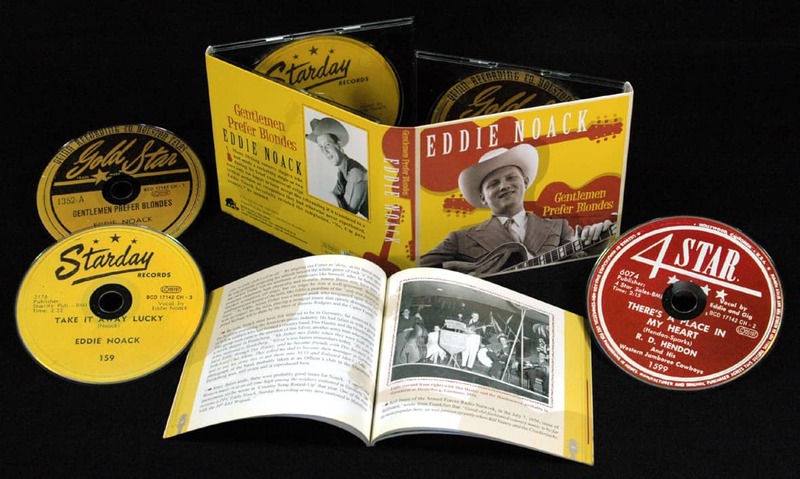 "Nothing about Eddie Noack reminds you of the archetypal hillbilly record star of another age," Millar wrote of their meeting. "Equipped with degrees from the University of Houston, he is witty and erudite, a walking fund of accurate stories." To his interviewers, the person and the persona were, at a glance, out of phase: how could the man who wrote archetypal hillbilly songs like Too Hot to Handle, Take It Away, Lucky and It Ain't Much, But It's Home not be an archetypal hillbilly himself? Noack had given them a clue when he defended his music as 'pure country': For his entire career, he had self-consciously styled himself as a country music artist out of emulation, not identification. He appreciated artists like Jimmie Rodgers, Hank Williams, Ernest Tubb, and Wilf Carter, but their life experiences had been quite different from his. Many country artists like Tubb had actually tried to smooth out their music, shunning the phrase 'hillbilly' as derogatory. But Noack was an idealist. His mission was to protect the integrity of country music and its roots, commercial appeal be damned. When he said that his music was 'pure country,' he meant that he had, early in life, sworn allegiance to a personal code. If somebody called Eddie's music 'hillbilly,' he accepted it as a compliment. Thus, the quiet pride that Millar had sensed was rooted in Eddie's conviction that he had stayed true to his code while nearly everyone else had sold out and allowed 'pure' country music to decay and die. 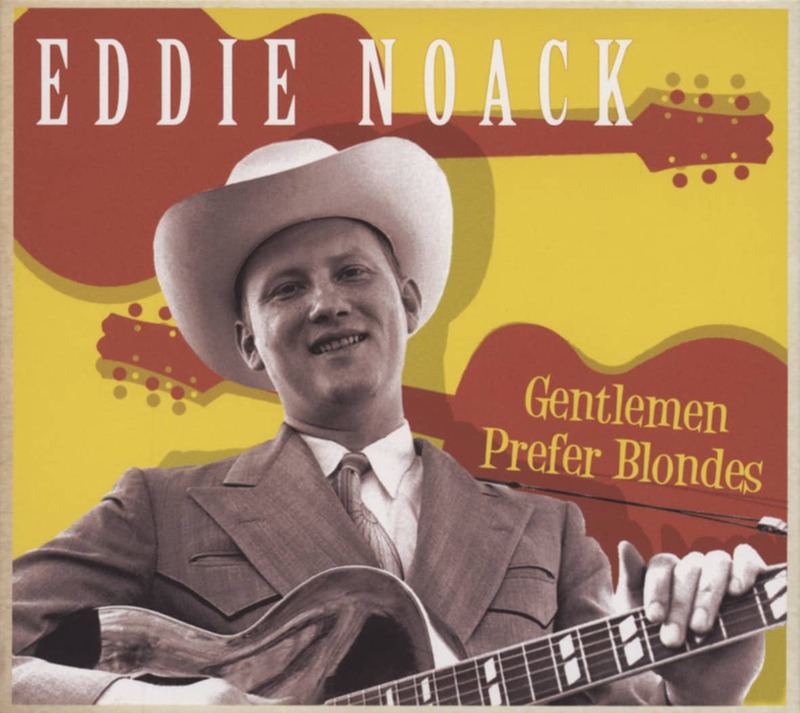 And as went country music, so fell Eddie Noack. "Eddie was plainly ill when I met him," Millar says today. "I really did think, 'This man hasn't got long to live.'" His grim assessment was correct. In 1978, less than two years after the tour, Noack died, alone, in Nashville. Customer evaluation for "Psycho b-w Dolores"